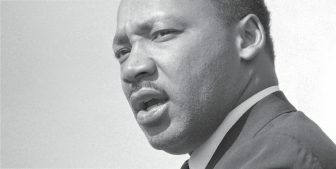 Listed below are MLK, Jr. events in the Twin Cities and beyond. If you know of an event that we missed, let us know in the comment section! A chance for the community to come together in unity and celebrate diversity. This event is part of the Duluth-Twin Ports MLK Holiday Celebration sponsored by the NAACP Duluth Branch. For more info, go here. 1111 North 11th Avenue, Duluth. This event is in conjunction with the Duluth-Twin Ports MLK Holiday Celebration sponsored by the NAACP Duluth Branch. Go here for more information. Celebrate MLK at this free family-centered community event that highlights the youth in the community. There will be games, performances, music, food, and fun! This event is in conjunction with the 2018 Twin Ports’ MLK Tribute events, sponsored by the NAACP Duluth Chapter. For more info, go here. Made possible through a sponsorship by General Mills and the MLK Holiday Breakfast, this event offers an interactive celebration of the life of Rev. Dr. Martin Luther King Jr. Explore “The 1968 Exhibit” opening celebration; create screen-printed activist posters; join in a spoken word activity; be of service by packing personal hygiene kits for the Dorothy Day Center; and enjoy performances by students at the Walker West Music Academy, a learning community rooted in the African American experience. Exhibit entry is included with museum admission of $12 adults, $10 seniors, veterans/active military, college students, $6 ages 5-17, free age four and under and MNHS members. For more info call 651-259-3015 or go here. Bring the whole family out to discover the inspiring careers and scientific contributions of local African American professionals in the fields of healthcare, technology, and more. Admission is free for four kids (ages 17 and under) with each full-priced adult admission. Call 651-221-9444 to purchase tickets. Special rates for people with limited income are available. In 1970, two towering personalities of the American intelligentsia, Black author and social critic James Baldwin, and White anthropologist Margaret Mead, sat together and recorded a conversation on what is a defining subject of the American experience — race. Now, more than 40 years later, two contemporary artistic icons, Anna Deavere Smith and legendary choreographer Donald Byrd, re-imagine this monumental moment in history into a genre-obliterating evening of “theater for the 21st Century.” Tickets range from $19-40. For more info, go here or call 651-224-4222. Enjoy an afternoon of music, song, and poetry at this annual potluck that follows the 10:30 am worship service in the fellowship hall. Fried chicken will be provided, and everyone is asked to bring side dish and/or dessert to share with at least four people. Following the potluck meal from 2-3:30 pm will be a “beloved community” celebration filled with song, music, and poetry. For more info, go here. This is a community gathering of Black folks of faith ready to Claim Our Voice in the political arena. We will present the political priorities for the Black Community and our strategy to build and wield power for our families, children and community during this Legislative Session and with the future Governor of MN. We will lean on both ancestral and historical leaders as well as prophetically lead us to accomplish more and declare what’s possible together! Free. For more info, call 651-376-1001 or email isaiah@isaiahmn.org. Coretta Scott King wrote that the Rev. Dr. Martin Luther King Jr. holiday “celebrates the life and legacy of a man who brought hope and healing to America.” Join in celebrating Dr. King’s life and legacy through theatrical and musical performances. Light refreshments and a cash bar will be available. This program is a collaboration between MNHS and the African American Interpretive Center. $20; MNHS members save 20 percent. For more info call 612-341-7582 or go here. Bring your poem, song, or reading exploring the question, “What does beloved community mean to you?” The event is free and open to the public. No RSVP is required. For more information, go here. For over 400 years, protest songs of all kinds — folk, jazz, blues, gospel and hip hop — have helped generations of African Americans survive, strive and thrive. Bruce Henry leads a spellbinding historical journey with an all-star band, singers Tonia Hughes, Robert Robinson, Mari Harris and PaviElle, dancer Kenna-Camara Cottman, the SJA choir and more. General admission is $25; $10 for students. For more info, go here. All day, Dr. Rev. Martin Luther King, Jr. Day is observed as a day to serve the community and reflect on Dr. King’s philosophy of bringing people together to work towards a common good. Find volunteer sites for MLK, Jr. Day of Service by contacting Hands on Twin Cities at 612-379-4900 or info@handsontwincities.org, or go to www.handsontwincities.org or here. Support of the 28th Annual Dr. Martin Luther King, Jr. Fundraiser Breakfast will help keep Minnesota’s promise that all young people should have access to a four-year college degree. Proceeds will benefit the Minneapolis Chapter of UNCF, and help provide low-income local students with four-year scholarships. Actor David Oyelowo (Selma) is this year’s keynote speaker. Oyelowo (pronounced — “oh-yellow-oh”), a classically trained stage actor who is working successfully and simultaneously in film, television, and theater, has quickly become one of Hollywood’s most sought-after talents. He graduated from the London Academy of Music and Dramatic Art (LAMDA) and received the “Scholarship for Excellence” from Nicholas Hytner in 1998. Musical entertainment will be provided by Twin Cities’ own Sounds of Blackness. This breakfast will be broadcast live at 8 am on Twin Cities Public Television and streamed online here. For more information, go here. You can also watch the broadcast at one of the community breakfast locations listed below. All Twin Cities-area breakfasts request a $5 donation (children 12 and under are free) and start at 7 am except where noted. 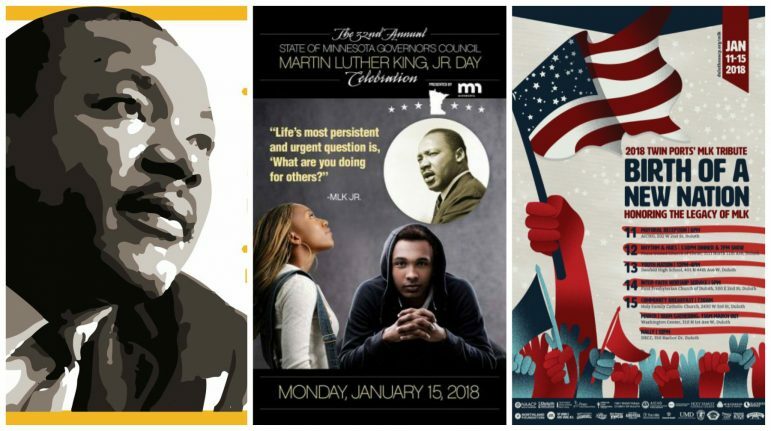 St. Cloud’s MLK Breakfast and Day of Service is an opportunity for students and community members to participate in service projects to make items that will be donated to local community organizations. Sheyann Webb Christburg, civil rights activist and acclaimed author of Selma, Lord, Selma, will give the keynote address live in Halenbeck Hall. In its fifth year, the MLK Breakfast event invites students, employees and community members to engage in conversations and interactions that critically analyze how to create positive change and do the required actions to support the well being of everyone in the community. Local citizens, business owners, community leaders, and non-profit organizations are welcome. The event is free and open to the public; however, registration is required. Registration closes on January 11. Seating is limited. For more info, go here. Volunteers will be painting a portion of the drop-in center. All paint and materials will be provided. If interested, register by January 11 to enable organizers to give The Bridge an accurate volunteer count. For more info, go here. Rev. Kenneth Wheeler will be the keynote speaker at this community event that aims to explore the human side of Dr. King — a human being with strengths, weaknesses, flaws, and gifts. Wheeler is a retired pastor of the Evangelical Lutheran Church in America who has served as an anti-racism trainer in the Greater Milwaukee Synod and on the board for the Commission for Multicultural Ministries. In 2012, he was a recipient of the Milwaukee Black Excellence Award, honored as a religious leader. Keynote remarks will be at 9 am; Worship Service is at 11 am; Community lunch is at 12 pm. The event is free and open to the public. No RSVP is required. For more information, go here. Expect an MLK celebration for youth ages 5-10 years old focused on fun performances and community-building. Free and open to the public. For more info, go here. Governor Dayton will host his final Martin Luther King Day, Jr. Day Celebration, and hopes to make his last MLK event special and impactful for the community. The celebration will consist of a youth rally, musical acts, an awards ceremony honoring Minnesotans who are making a difference for all of us, and a celebratory program featuring amazing speakers. This year organizers anticipate that the celebration will draw more than one thousand people in attendance. 10 am—12 pm, A musical celebration featuring Stokley Williams and Maria Isa. Governor Mark Dayton, St. Paul Mayor Melvin Carter III and Rep. Ilhan Omar will be the featured speakers. This event is free and open to the public, but seating is limited. Please RSVP. For more information, go here. Powderhorn Park is hosting its 20th annual gathering for Twin Cities community members to come together to celebrate the life and work of Dr. Rev. Martin Luther King Jr. The celebration features local performers, artists and a community meal. Food donations benefiting the Aliveness Project and Beacon Interfaith Housing Collaborative will be collected. For more info, go here. Celebrate the history of Martin Luther King, Jr. by enjoying music, dance, a guest speaker, and food. The event is free and open to the public. For more info, call 612-370-4918. The event starts at 5:30 pm with hors d’oeuvres and social time. The program begins at 6:15 pm with awards, followed by entertainment provided by Mankato Children’s Chorus at 6:45 pm. Keynote remarks by Kevin Lindsey, Commissioner of the Minnesota Department of Human Rights, begin at 7 pm. His theme for the evening will be “50 years of Human Rights in Minnesota.” For more info, go here. This event invites community members to Celebrate MLK Day and “the proud, loud, and mighty resistance with a warm, fortifying, and comforting meal surrounded by compassionate and jovial friends.” The meal is entirely nightshade free and soy free and gluten free and nut free. $25. For more info, go here. The annual celebration includes a keynote presentation by Toki Wright and live entertainment by STA FRUIT. Chad Jackson, senior account executive of the Minnesota Twins, will serve as emcee. The celebration is free and open to the public. Attendees are encouraged to bring a non-perishable food item to donate. Refreshments will be available following the program. For more info, go here. 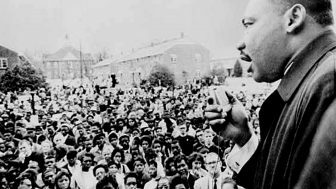 The East Side Freedom Library’s commemoration of Dr. Martin Luther King, Jr. Day, will screen and discuss At the River I Stand, the award-winning documentary about the 1968 Memphis sanitation workers’ strike, during which Dr. King was assassinated. This 58-minute documentary focuses on social inequity issues that have only become more urgent in the intervening years: the connection between economic and civil rights, debates over strategies for change, the demand for full inclusion of African Americans in American life, and the fight for dignity for public employees and all working people. Free and open to all. For more visit eastsidefreedomlibrary.org or call 651-230-3294. Community members are invited to attend this forum led by Minneapolis City Council Member Andrea Jenkins. The forum will be centered on the many social justice issues of our times. Free. Ta-Coumba Aiken will lead a conversation centered on navigating the current landscape of “being Black in America” for artists of color and the realities of creating Afro-centric artwork. Attendees can also enjoy a performance from Niles, and preview pieces of the “Afro-Centric” Gallery opening Feb. 1, which celebrates artists of color in the Twin Cities for Black History Month. For more info, call 651-246-9234. Free. A lecture will take place at 11:30 am, with keynote remarks by Ben Dossman of Fat Chance Foods to follow. The event will conclude with a hands-on service project. No registration is required and there is no cost to attend. For more info, go here. 6:30-7:15 pm, Stories of Wit and Wisdom, Through a collaboration with Black Storytellers Alliance, the Hennepin County library invites community members to listen to lively stories from African and African American folktales. Learn lessons for tricksters, join in with call and response, and take home little bits of wisdom. The event is funded by Minnesota’s Arts and Cultural Heritage Fund. Free and open to all. For more info, go here or call 612-543-KNOW (5669). The concert features various artists presented by the Avant Garde, including Jovonta Patton, Ashley DuBose, Chadwick Niles Phillips, Delphin Starr, Meah Ismail (The Spoken Poet), and Daonna Lewis. The show will also include a prelude performance by the U of M Jazz Combo. The concert is free of charge and open to the public; no advance tickets or reservations are required. For more info about the program, or for disability accommodations, contact the Office for Equity and Diversity at oed@umn.edu or 612-624-0594 or go here. Minneapolis Community and Technical College (MCTC) will host its annual Martin Luther King Jr. Holiday Celebration event featuring keynote speaker Ericka Huggins, an educator, former Black Panther Party member, political prisoner, human rights activist and poet. Other highlights include an African drum and dance ensemble and an ancestral remembrance libation ceremony. Door prizes will be awarded and box lunch will be served. Free and open to all. For more info, go here. Celebrate the legacy of Martin Luther King with a candid conversation about reparations for the descendants of slaves in North America. The Minnesota Migration Act is legislation that will secure reparations for the descendants of slaves who reside in the state of Minnesota. This event is hosted by Trahern Crews and food will be served. Free admission. For more info, go here. Did we miss an event? Let us know in the comments or by emailing msrnewsonline@spokesman-recorder.com. This article has a wealth of information. Thank you, for gathering all the dates and events in one trusted resource. You’re welcome, lani. Glad to be of service!